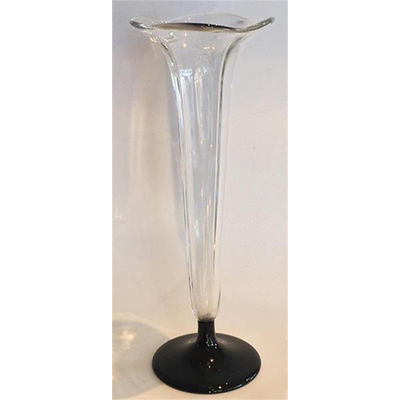 Art Deco Tall Vase, by Designer Simon Gate. 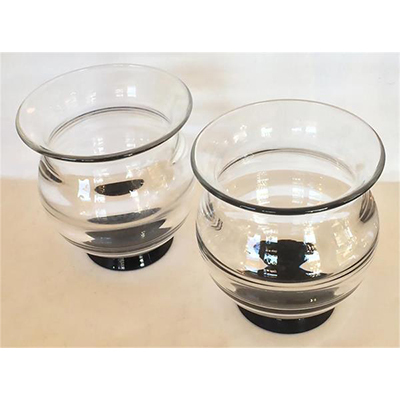 With a simple black, narrow necked base, with the clear, upper fluted, round edged corners from top to bottom. The ground pontil to the base, is engraved “G I I S Y”. 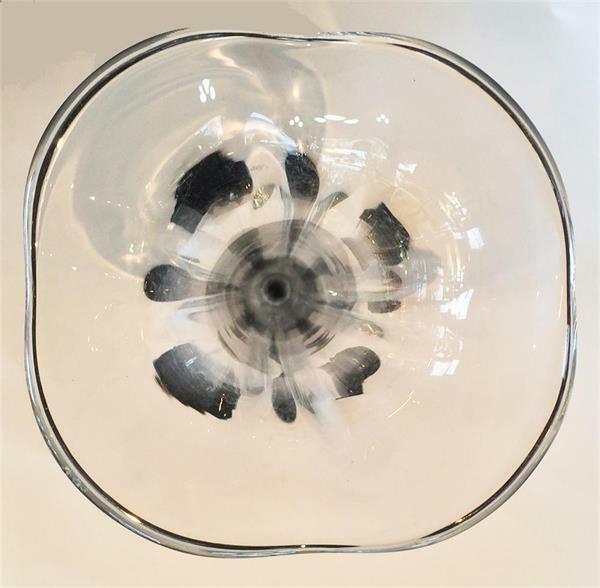 The vase is perfect, but does have 2 tiny, surface bubble bursts, partly under the lower, outer edge. One is barely a “fleabite”, and the other, slightly larger smaller than a pinhead; both insignificant for such a large piece, and not noticeable unless searched for. 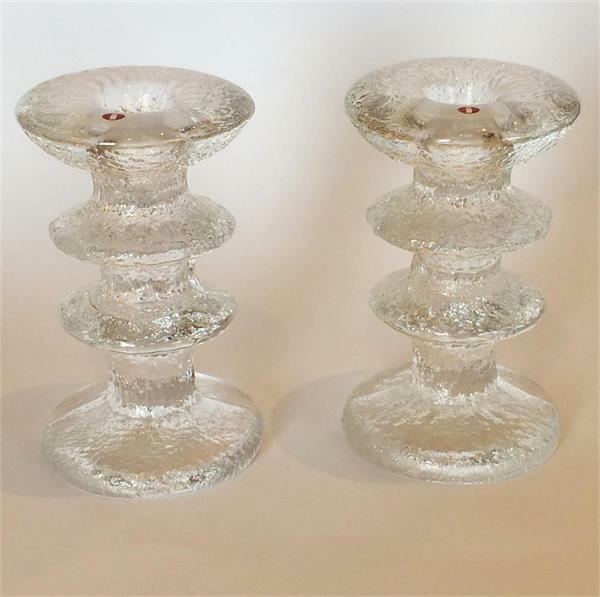 Dimensions are approx..: 35cm high; base dia. 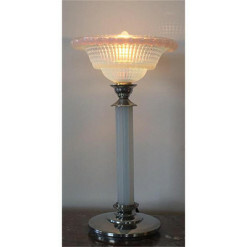 11cm; top 12-13cm across fluted edges. Circa 1930-1931. 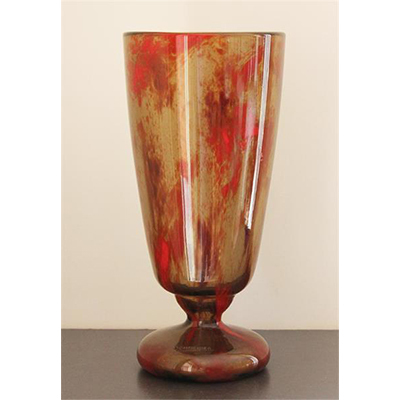 Art Deco Tall Vase, by Designer Simon Gate. 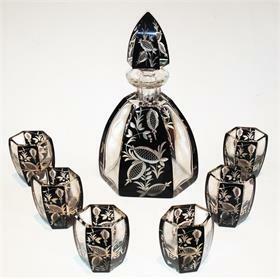 With a simple black, narrow necked base, with the clear, upper fluted, round edged corners from top to bottom. The ground pontil to the base, is engraved “G I I S Y”. 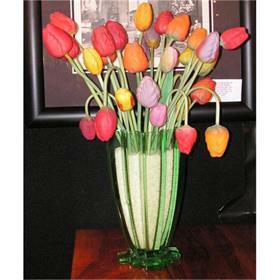 The vase is perfect, but does have 2 tiny, surface bubble bursts, partly under the lower, outer edge. One is barely a “fleabite”, and the other, slightly larger smaller than a pinhead; both insignificant for such a large piece, and not noticeable unless searched for. 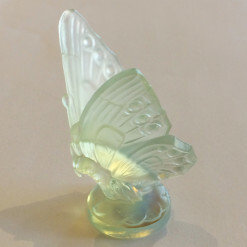 Dimensions are approx..: 35cm high; base dia. 11cm; top 12-13cm across fluted edges. Circa 1930-1931.